Owing to its state-based renewable energy initiatives, Victoria is in the box seat to create more than 6,000 jobs annually, shows a new analysis released by Green Energy Markets. Overall, renewable energy generation managed to exceed 25% of power supply for the first time across Australia’s main grids. In August, renewables made up over 25% of the electricity generated in Australia's main grids, finds GEM. Victoria is now creating more large-scale renewable energy construction jobs than any other state, and is set to lead Australia in jobs created by rooftop solar on the back of its recently announced rooftop solar rebate program, which holds a promise to put solar panels on 650,000 Victorian homes over ten years. According to a new report by Green Energy Markets (GEM) commissioned by GetUp, large-scale wind and solar projects under construction in Victoria have created 5,169 jobs years of employment, meaning one person working full time for one year, overtaking Queensland with 5,156. But, with the projects awarded under the Victorian government renewable energy auction, which smashed the originally announced goal of 650 MW delivering 928 MW of renewable capacity, the state is projected to move ahead to 6,072 job-years, finds the report released on Tuesday. In terms of rooftop solar jobs, Victoria is also set to lead charge, owing to the recently announced Victorian government’s a $1.24 billion renewable energy program – Solar Homes, offering 50% solar rebates on rooftop solar installations. Applications for rebates officially opened in September. According to the GEM analysis, the program is expected to lift Victorian solar installation jobs to a monthly average of 1,719 (up from the 2018 average of 1,096). Overall, Australia set a new monthly record high in terms of rooftop solar installation jobs. A total of 6,667 full time jobs were created installing solar systems during August. 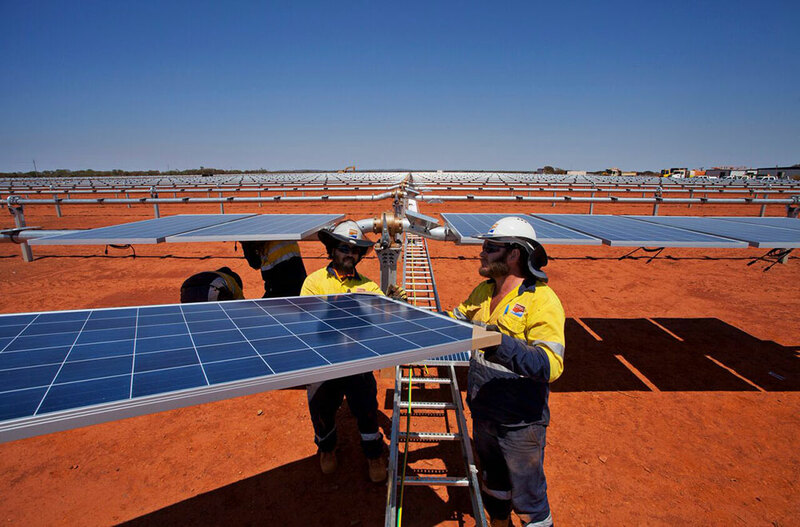 The average monthly jobs created installing solar across 2018 to date stand at 5,815 with NSW & ACT leading with 1,654, followed by Queensland with 1,444, GEM finds. These installations equate to households saving $41 million on their power bills. Another record was broken by renewables energy generation, exceeding 25% across Australia’s main grids of the National Electricity Market and the South-West Interconnected System. The report notes that while solar farms remain a small proportion of supply, the large amount under construction are now coming online in earnest. The August figures show that solar farm power output was two and half times higher than the same month last year. But while state are turning to their renewable energy targets and auctions, little initiative is seen on the federal level. GetUp Campaigns Director Miriam Lyons said it was embarrassing how far Scott Morrison and his Coalition Government was lagging behind public opinion and leading states when it came to investing in renewable energy and real action to reduce climate pollution. “Rooftop solar is on track to provide $41 million of bill savings to Victorian households alone and will continue to cut family power bills with the ongoing installation boom,“ Lyons said, adding that this report shows that Victorian households and businesses will race to a clean energy future if provided with government leadership on policy.